University of Maine hockey players take on Vermont in a game last year at Alfond Arena in Orono. ORONO, Maine — Veteran Bangor-area broadcasters Jon Shields and Jim Churchill and Jeff Mannix of Portland have been hired as the new play-by-play broadcast voices for two University of Maine sports. UMaine athletics and its multimedia rightsholder, Learfield, made the announcement Thursday. 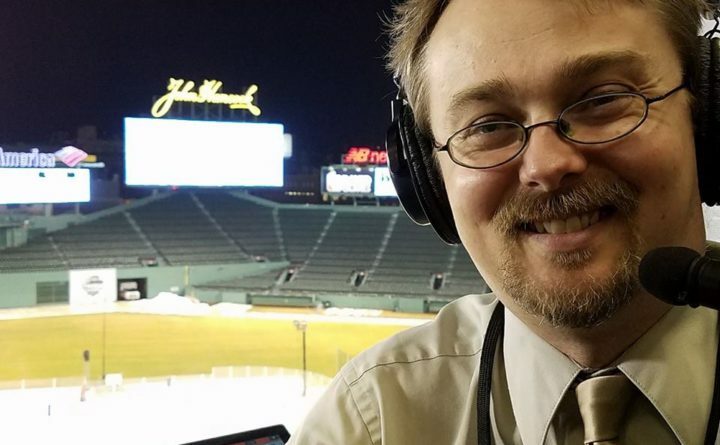 Shields was chosen to serve as the new radio play-by-play broadcaster for Black Bears men’s hockey while Jeff Mannix will handle UMaine’s local TV broadcasts. Churchill takes over play-by-play duties for UMaine’s home football broadcasts. Shields, who has worked in the Bangor radio market since the fall of 2003, replaces Dan Hannigan, who in July announced that he was giving up his play-by-play duties after 23 seasons. Shields had served as Hannigan’s fill-in since 2012. “It’s been a broadcasting dream come true. I can’t wait to cover the games, home and away, all season on the Black Bear Sports Network,” he added. Shields will be joined for home games by veteran Bangor Daily News sports reporter Larry Mahoney, who was a longtime analyst alongside Hannigan. On the television side, Jeff Mannix has been chosen as the new hockey play-by-play broadcaster for men’s hockey. Mannix hosts a morning radio show on Portland’s 96.3 “The Big Jab” and is the former play-by-play broadcaster for the former Portland Pirates of the American Hockey League. Mike Tuell of Orono will continue to handle the color analyst duties for hockey. Hannigan’s departure also created a vacancy for UMaine football TV broadcasts. That void will be filled by UMaine graduate Jim Churchill of Hampden. Churchill should be familiar to Black Bear fans as the radio voice of the baseball team for nearly two decades and for his work doing radio play-by-play and commentary for men’s basketball. He will work all three UMaine football TV broadcasts. Churchill, one of the hosts of “The Drive,” weekdays 4-6 p.m. on 92.9 FM radio The Ticket, will be joined in the booth by a new color analyst, former UMaine All-America linebacker Mark Coutts, and sideline reporter Andrew Badillo. Coutts is a Black Bears captain in 1985 before graduating in 1986 with a business degree. Badillo is the sports director at ABC-7 and FOX-22 in Bangor. The first UMaine football home TV broadcast of the year is Oct. 6 against Villanova. 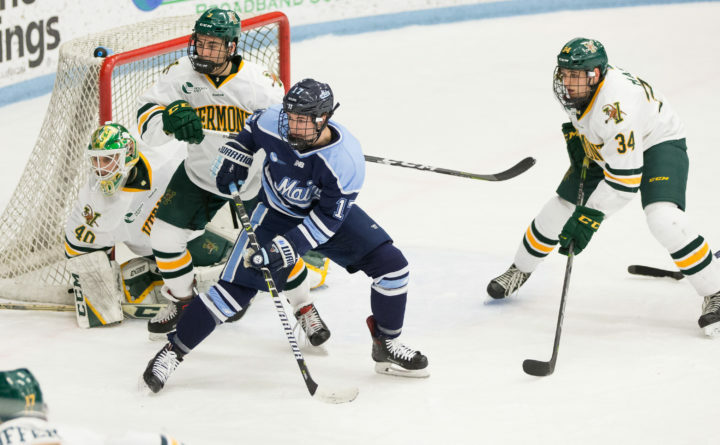 UMaine hockey opens Oct. 8 with an exhibition contest at Alfond Arena against the University of Prince Edward Island. “We’re excited about our team of talented broadcasters on the Black Bear Sports Network this year,” said Justin Barnes, general manager of Black Bear Sports Properties. “Our mission is to find announcers who can accurately capture the passion and pageantry of UMaine Athletics,” he added. UMaine’s TV broadcasts will include its final three football home games and seven home men’s hockey contests.